R2-D2, our favourite astromech unit from the STARWARS-movies, started to impress me right in the beginning, in 1977. Back then, I dreamed about how great it would be to have an Artoo robot at home. It took me about thirteen more years to collect the mechanical experience to plan and to built a full-size, moving, radio-controlled R2-D2, but in 1997 I finally had it ready to go : A reliable, remotely controlled Astromech Droid. About that time, the Internet got into full swing, and I put this page up in 1998. 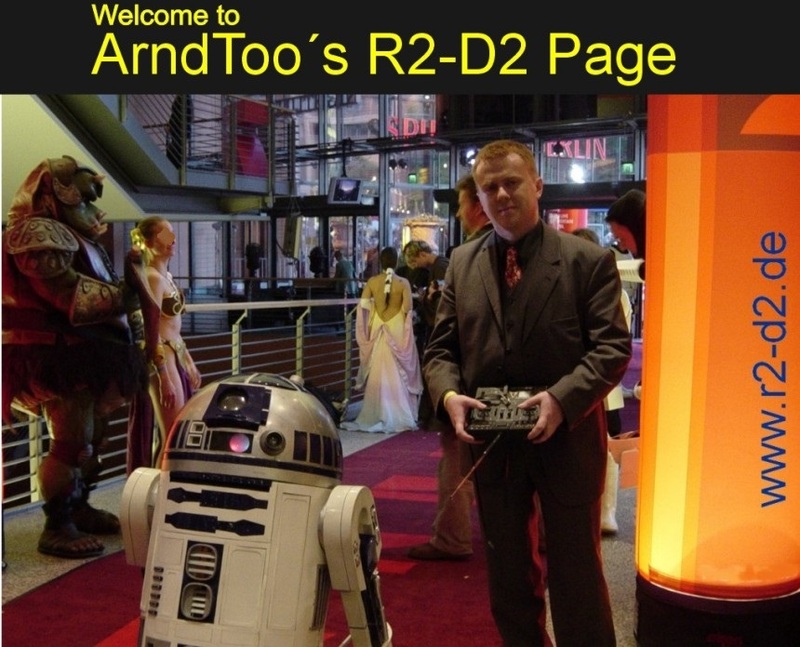 A lot of people contacted me over the years, and I´m glad to say that one of them was Dave Everett, who founded the by-now famous R2 builders club, which by now is mostly meeting in the forum at Astromech.net. By now, Artoo-building has become a worldwide hobby that is pursued by hundreds of people on all continents. You´ll find more on the amazing group that was formed further on this page. This is not an official Lucasfilm / StarWars homepage, nor is it endorsed, sponsored or affiliated. You will find the official StarWars-Homepage here. This is just a non-commercial fan site. No copyright infringements are intended. Names, Images, etc on these pages are © copyright Lucasfilm Ltd. and other companies, and are used here under Fair Useage Terms of copyright law.